A downloaded image or digital photo. This workflow necessarily differs from the workflow for importing an image for rendering purposes. This topic is covered elsewhere. This workflow is specifically directed to the import of background images for tracing purposes. 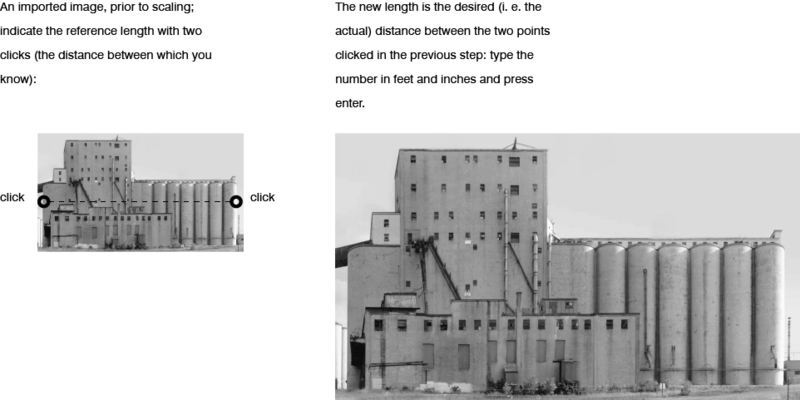 To use this workflow, the image either must be at a known scale (for example, 1/8” = 1’-0”) or it must include at least one known dimension (for example, the length of a wall or the width of an opening). Furthermore, the image must be at a known resolution, preferably 72 pixels per inch. Scaling the image in Photoshop. 3. Save the image in the JPEG format and quit Photoshop. 4. Start a new project in Revit (or open an existing Revit project). Use the Architectural template. Starting a New Project in Revit. 5. On the Ribbon: Insert > Import > Image. Inserting the image in Revit. 6. Navigate to the file location and click Open. 7. In the Revit Drawing Area, click to place the image. 10. You may need to reposition the image in the center of the Revit workspace. If so, click and drag the image, or use the Move tool (type MV, or find it on the Ribbon at Modify > Modify > Move). 11. If necessary, adjust the location of the elevation tags in the Drawing Area by selecting and dragging them to the correct location (e. g., adjacent to the four sides of the floor plan). Elevation tags prior to repositioning (left) and elevation tags after repositioning (right). INSERTING IMAGES: AutoCAD can import Photoshop-readable images, in either the .tif or .jpg format, into drawings for use as backgrounds for tracing, or for applied material textures in 3D models. Before inserting an image, create and set as current a new layer for images, to preserve the ability to control the image’s visibility separately from other objects in the drawing. Use the IMAGEATTACH command to bring a Photoshop-readable image into an AutoCAD drawing. In the resulting Image dialog box, specify an insertion point, scale, and rotation, or set these to specify on-screen. Because the image can be moved, scaled, and rotated at any time after being inserted, the entries in the Image dialog box are inconsequential to long-term work. The DRAWORDER commands prevents images from obscuring other objects in the drawing. However, because AutoCAD rearranges objects following certain commands, it may be necessary to manually reorganize objects repeatedly. SCALING AN IMAGE: Use the SCALE command to scale an imported image (such as a map or an elevation-oblique image) to its true scale. 1. Type SCALE. When prompted to select objects, select the photograph by clicking on its edge. 2. When prompted to specify a base point, click on any point in the AutoCAD drawing. 3. 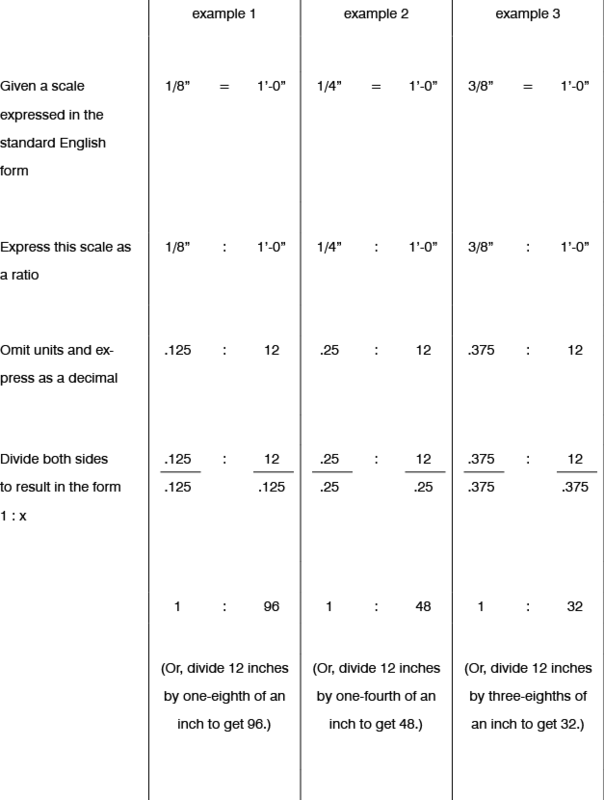 When prompted to specify a scale factor or [Reference], type R for Reference. 4. When prompted to specify a reference length, click on two points in the image, the distance between which you know. 5. 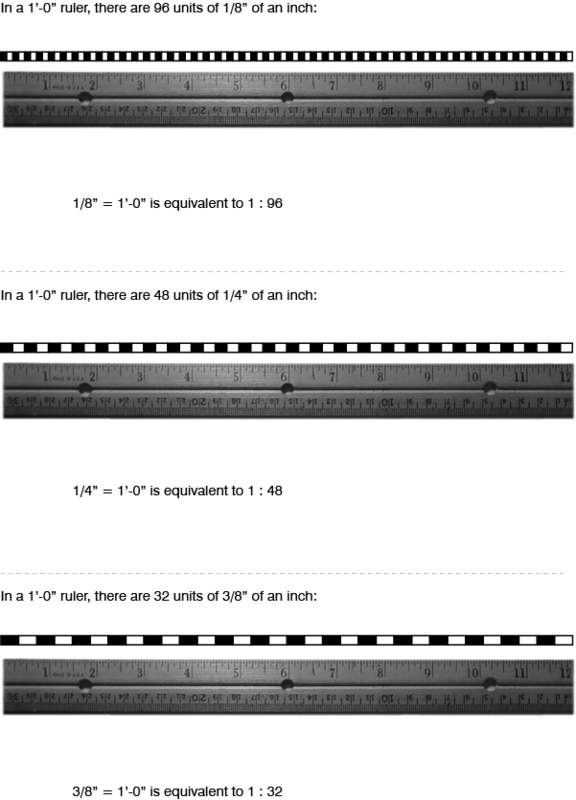 When prompted to specify a new length, type the desired (i. e. the known) length. CLIPPING AN IMAGE: Use the IMAGECLIP command to clip an image to a rectangle or other polygonal frame. Scale factor is a means of expressing the relationship between a measured object and its representation, or sometimes between a digital drawing and a printout.